This video shows how quickly you can assemble the Han food and beverage connector Insert in the Han food and beverage hood/housing. The Han® F+B Insert can be assembled in the Han® F+B without any tools. Optimal manufacturing requires maximum usage of the available production time. This applies to the food industry with it origins in process/processing technology as well as in packaging areas. Industrial food processing can have significant downtime that exceeds 400 hours annually in some cases, which results in significant lost operating costs. These breakdowns can lead to delivery delays, and subsequent backlogs of orders. It often takes many interventions by management, re-planning processes or even changes in the distribution schedule to clean up the interruption's impact. So minimal downtimes are a crucial factor for company profitability. The fundamental time eaters are unplanned breakdowns, but planned maintenance, set-up times and cleaning (Cleaning in Place – CIP – and Cleaning of Place – COP) also reduce system availability. The system shutdown associated with a maintenance hour can cost from 5,000 to 50,000 EUR, depending on the utilization. 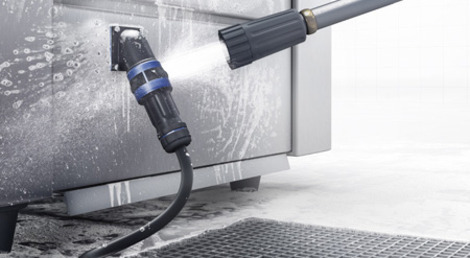 The connector for the food and beverage industry. 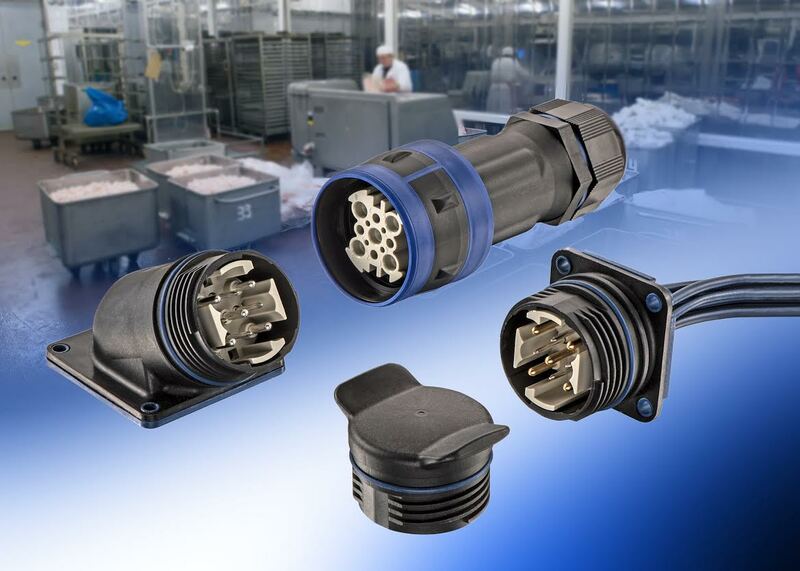 Hartings's rugged new Han F+B connector series brings modular user-configurable connectivity with IP69K protection to the splash zone in food and beverage production. They are the first connectors designed for the food industry. These versatile FDA 21 approved circular connectors are made of non-toxin, high performance PP plastic and offer excellent chemical, heat ans cold resistance, and are resistant to Ecolab certified cleaning agents.